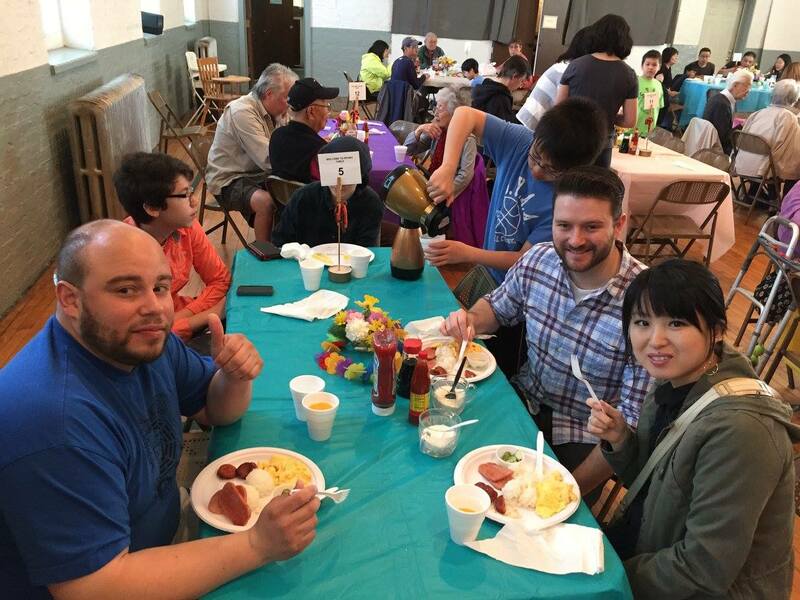 On April 18, 2015, the Sansei Yonsei Athletic Association, a youth basketball organization that plays at Ravenswood Fellowship United Methodist Church (where we also practice), held a Hawaiian breakfast fundraiser to raise money for a new gym floor and hoops. Our entire dojo came out to support. Thanks everyone! 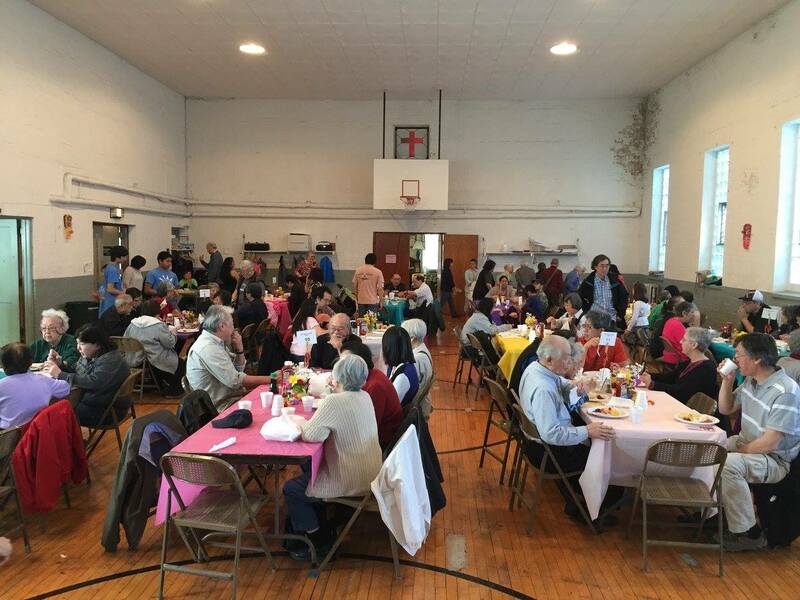 There was a great community turnout between the hours of 9am-1pm. 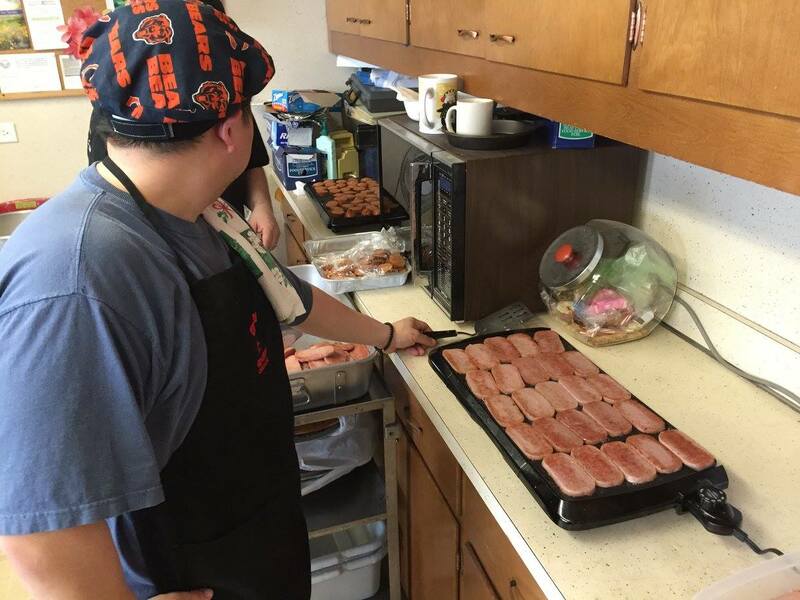 Spam and Portuguese sausage grillin’ . . . the Portuguese sausage was flown in from Waipahu, Hawaii! 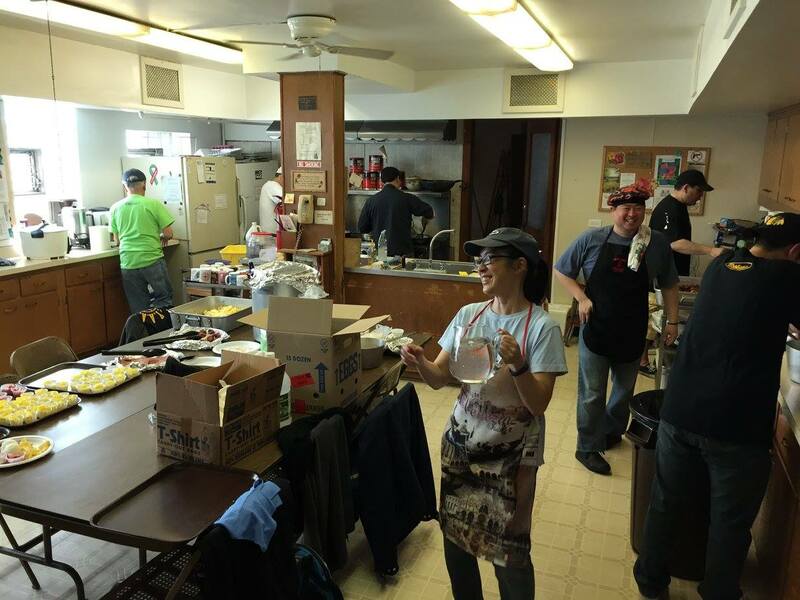 RFUMC kitchen. The nerve center. The goods . 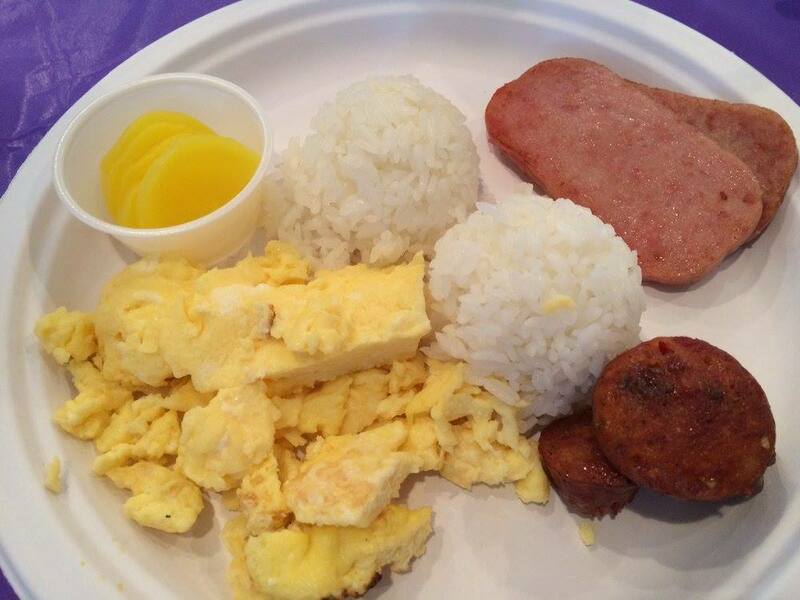 . . Portuguese sausage, scrambled eggs, Spam, rice, and a cup of sliced takuan (pickled daikon radish). 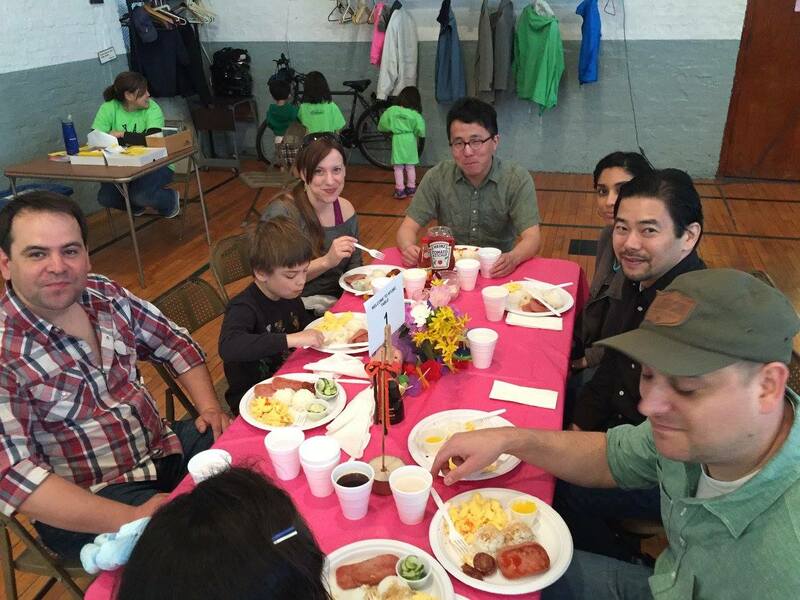 Ravenswood Dojo member & family support! More member & fam support! 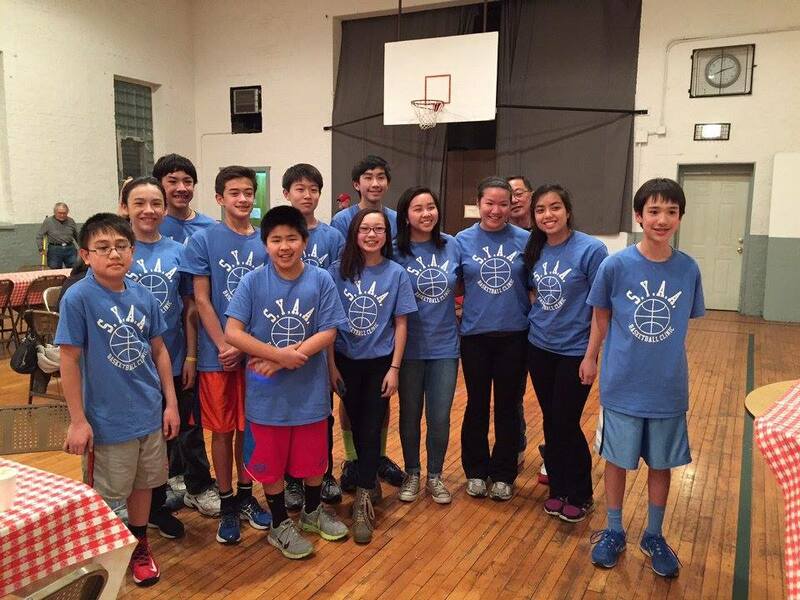 The peer coaches of the Sansei Yonsei Athletic Association Basketball Clinic. Third from right, peeking through, is SYAA organizer Ty Momii. 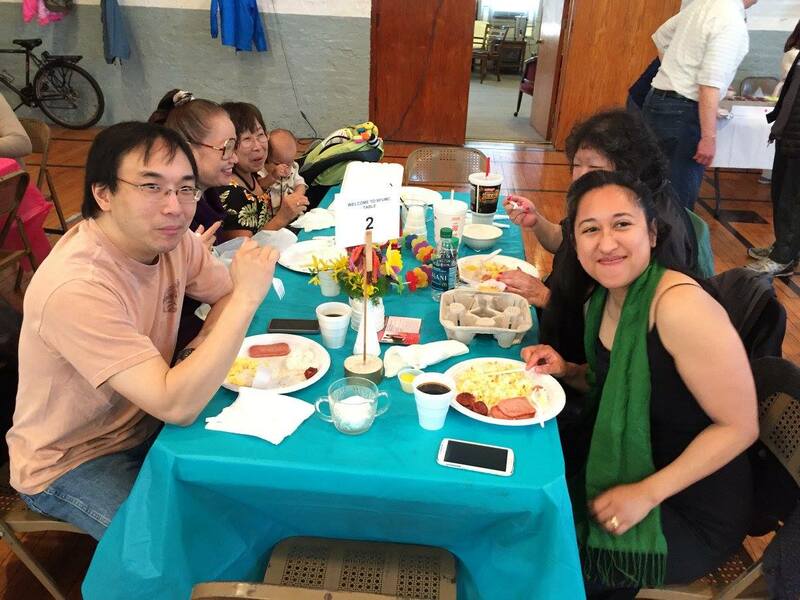 Sweeping up in the background is octogenarian and RFUMC member Al Fujii, also an Army veteran and Chicago Nisei Post 1183 Historian.